In 2018, Brazilian agribusiness exports will likely surpass for the first time the US$100 billion barrier. RIO DE JANEIRO, BRAZIL – Outgoing Agriculture Minister, Blairo Maggi, warned that geopolitical interferences could lead to a possible trade disruption between Brazilian agro-producers and the Arab countries and China, two markets that are very important to Brazil’s agribusiness sector. 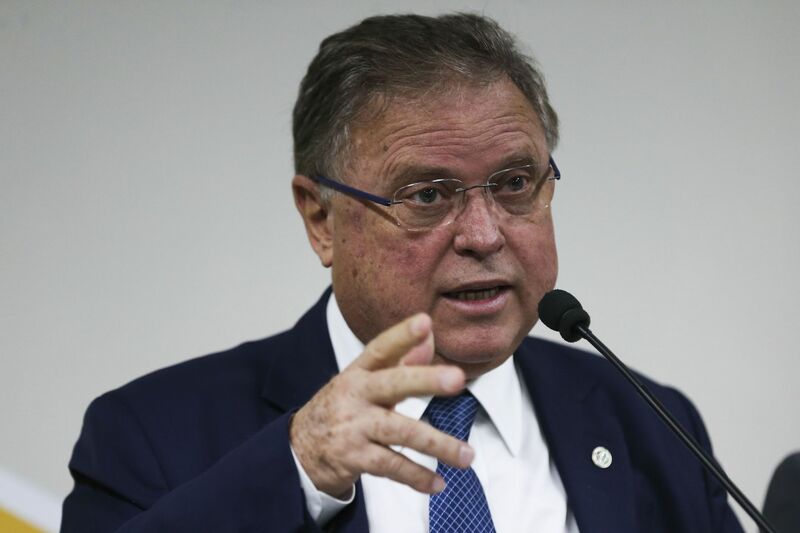 Brazil’s Agriculture Minister, Blairo Maggi, is concerned that statements made by incoming administration may hinder trade with Arab countries and China, photo by Antonio Cruz/Agencia Brasil. “We do not wish to be the leader of the world. We cannot be the leader of the world, so why are we going to take on such confrontations?” asked Maggi on Friday during a press conference to sum up his period as head of the Agriculture Ministry. “About 50 percent of Brazilian chicken exports go to Middle East countries. You lose that, and it means problems for our companies,” added the minister. The region is a main buyer of not only Brazilian products of animal origin, but also in areas such as military aviation and investments. The minister stated he is worried with statements made by the incoming administration of president-elect, Jair Bolsonaro that Brazil plans to transfer the country’s embassy in Israel from Tel Aviv to Jerusalem. Another source of concern is the new Administration’s stance towards China. Among the statements made by the president-elect regarding foreign policy, the statement that ‘China wants to buy Brazil’ generated negative repercussions in diplomatic circuits. The Asian country continues to be the main destination for Brazilian exports with a 26.3 percent share in total exports in November, according to data from the Foreign Trade Index (Icomex). This represents more than double second placed United States (with a percentage of 11.9 percent). According to Maggi, in 2018, agribusiness exports will likely surpass for the first time the US$100 billion barrier. The record for annual exports was in 2013, when Brazil exported US$99 billion.